Among the most sold apps in the world there are those about this ancient discipline that is in full harmony with the spirit of the O2 GAMES productions. Yoga is an ancient art based on a harmonious system of development of the body, mind and spirit of every human being. A lot of people from West practice Yoga, both in schools and at home. The Wii UTM, with its peripherals, (the Wii Balance Board, the Wii RemoteTM and the Wii U GamePad itself) is the perfect console for learning and practicing this important discipline at home. Every human being, practicing yoga, can reach a state of harmony with the surroundings and a consequent sense of interior peace and well-being. Anyone who is engaged in the practice of yoga, beginner or expert, can compare himself with all the aspects that involve his own person. The most correct approach is especially the one given by understanding the meaning of actions aimed to the improvement of the performance that YOGA MASTER constantly follows giving the player the feeling of being followed by his personal coach. The whole family can start with Wii U the practices of Yoga, you do not have to worry about reaching immediately the best performance but you have to pursue the objective without being afraid of making mistakes. Great Yoga teachers have helped us to study the positions and the interaction with the Wii U peripherals, preparing more than 30 programs for any kind of need for the psycho- physical improvement. 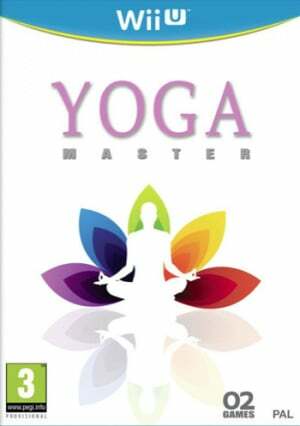 YOGA MASTER is perfect for finding a fantastic shape while you are having fun with Wii U!